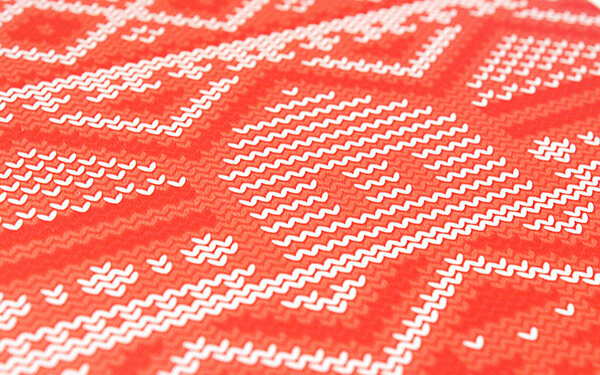 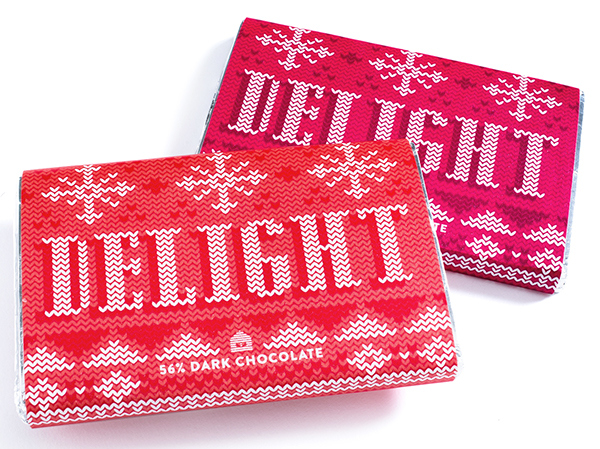 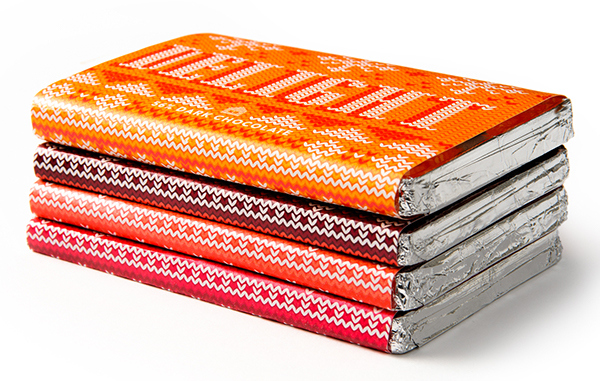 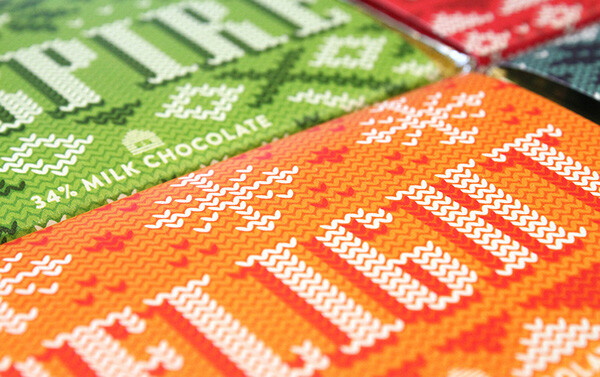 Chocolate… more tasteful than a Christmas sweater. 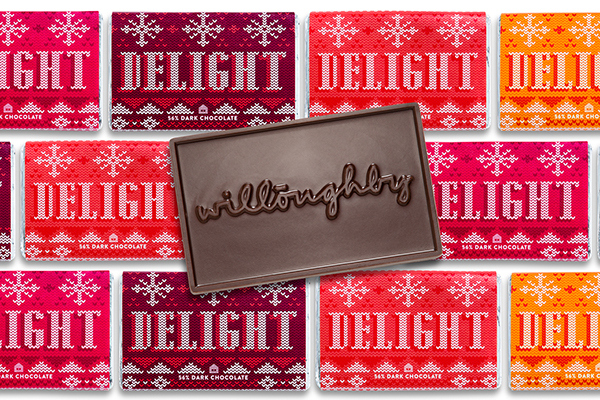 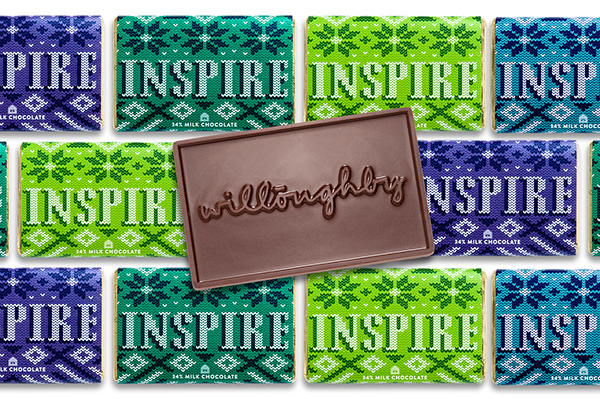 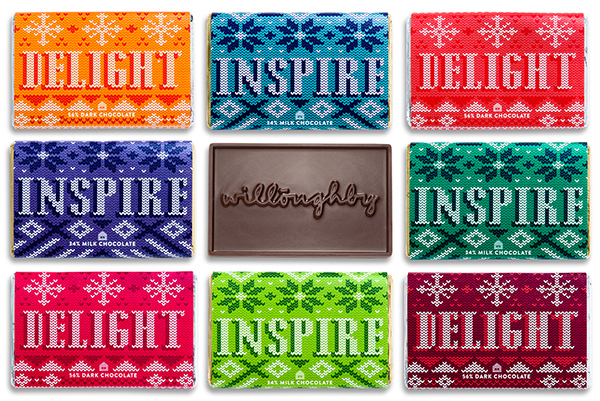 Wishing you a delightful holiday & an inspiring new year from Willoughby Design. 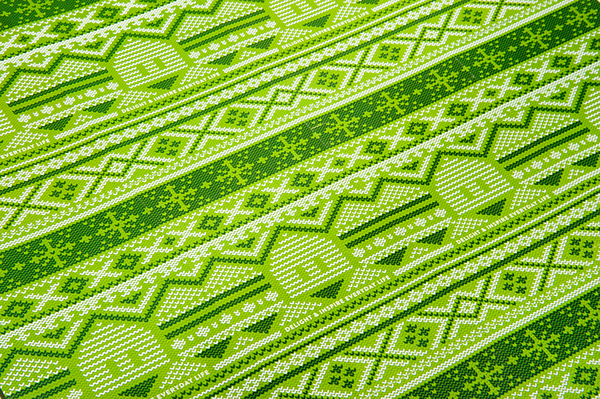 What's more festive than a tacky Christmas sweater? 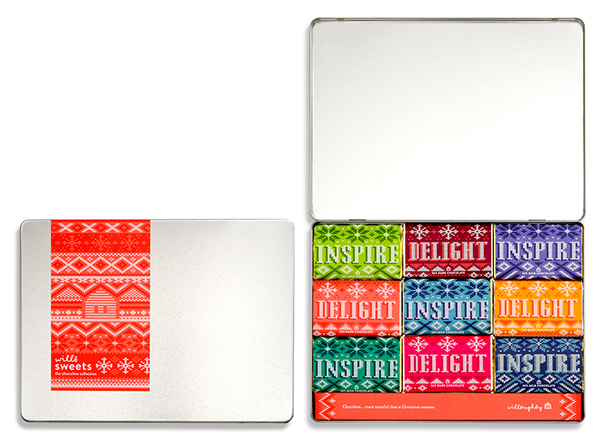 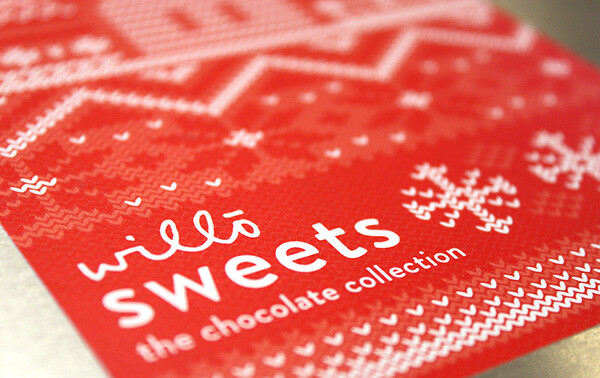 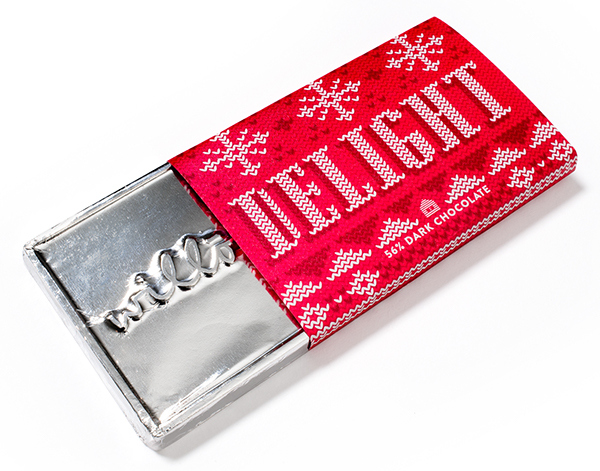 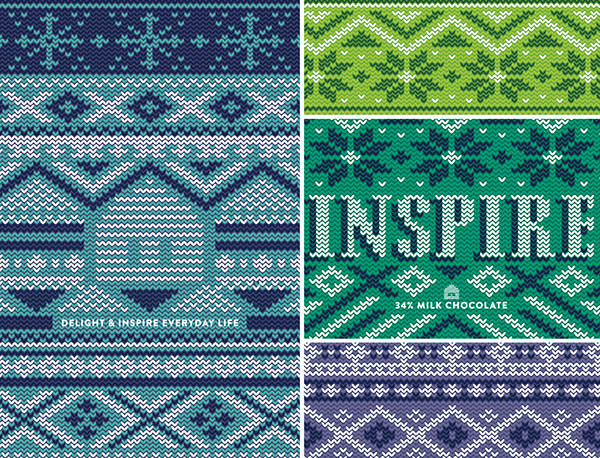 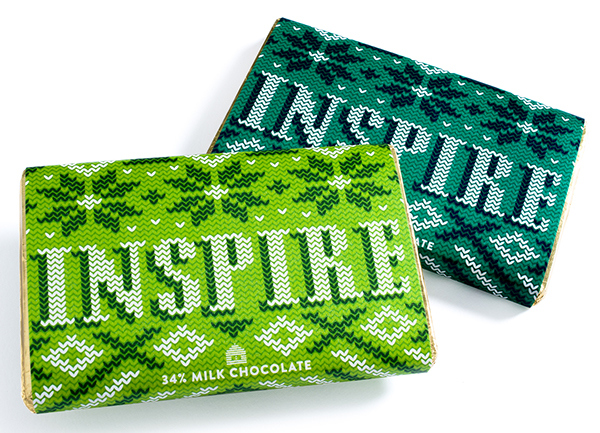 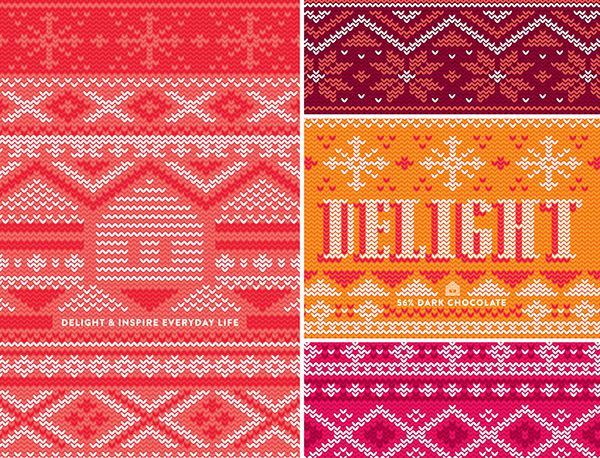 Our favorite holiday apparel served as the muse for this year's holiday treats. 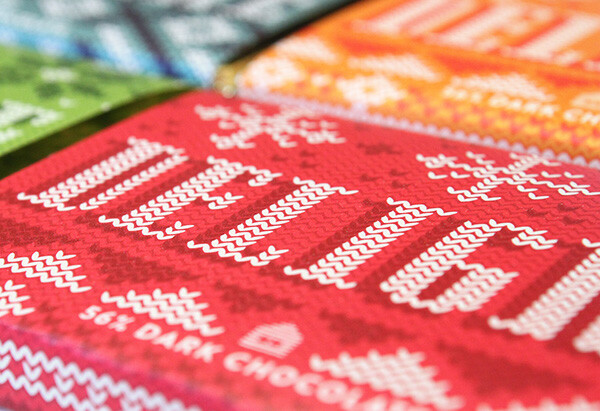 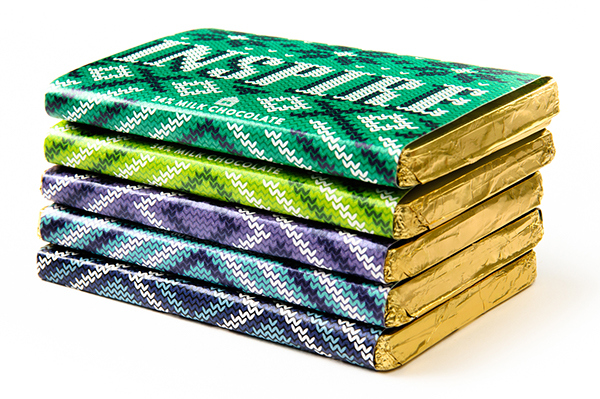 We designed and developed packaging for delectable milk and dark chocolate bars, handcrafted by legendary local confectioner André‘s Confiserie Suisse. 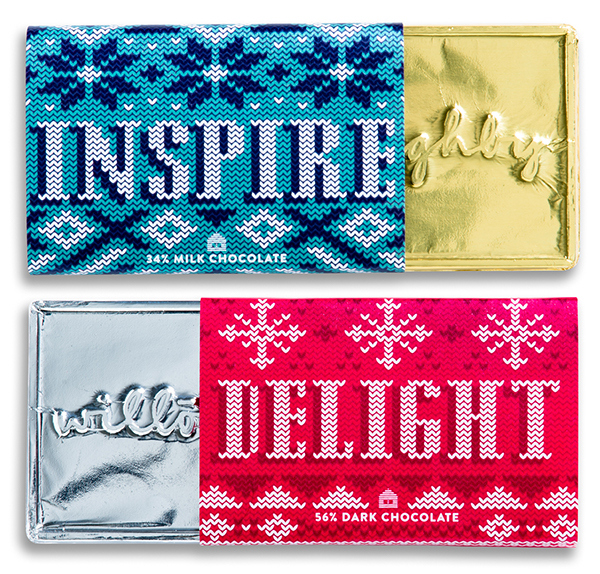 Bundled in festive packaging and rushed out the door for optimum enjoyment, these delicious wishes were a treat to design. 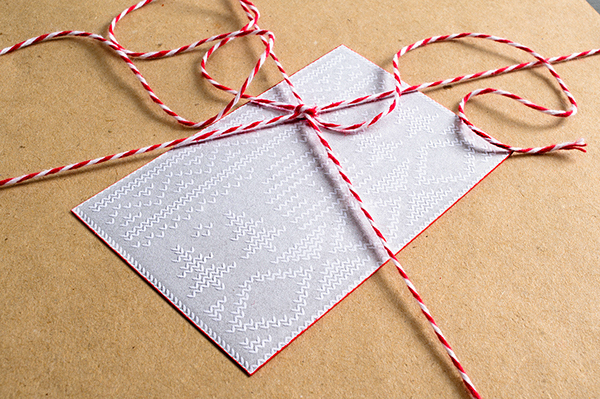 Thanks to local Kansas City letterpress studio, Skylab, for printing gorgeous cards.